As previously promised, here is a quick peek at some of the items from the Claude Osteen collection currently available at Lelands Auctions. Claude Osteen was a workhorse of an starting pitcher for the Dodgers from 1965 to 1973. In that span he recorded 147 wins against 126 losses, a 3.09 ERA, 100 complete games, 34 shutouts, a 3.15 FIP and a WHIP of 1.217. In other words, he provided some needed innings and ace workmanship after the Dodgers struggled to compete following the retirement of Sandy Koufax in 1966. In honor of this and his service to the team he was awarded the Charles DiGiovanna Award by the Dodgers after the 1969 season. 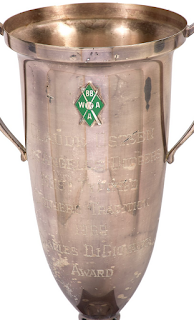 It is currently available for sale at Lelands Auction. 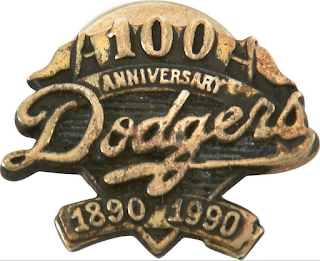 (Auction Link) This award is bestowed upon the player who “most typified Dodger tradition.” As you may know, DiGiovanna was an onetime Dodgers batboy and clubhouse manager who died of a sudden heart attack at age 28. Lastly, no player collection is complete without a few game-used items in the mix. 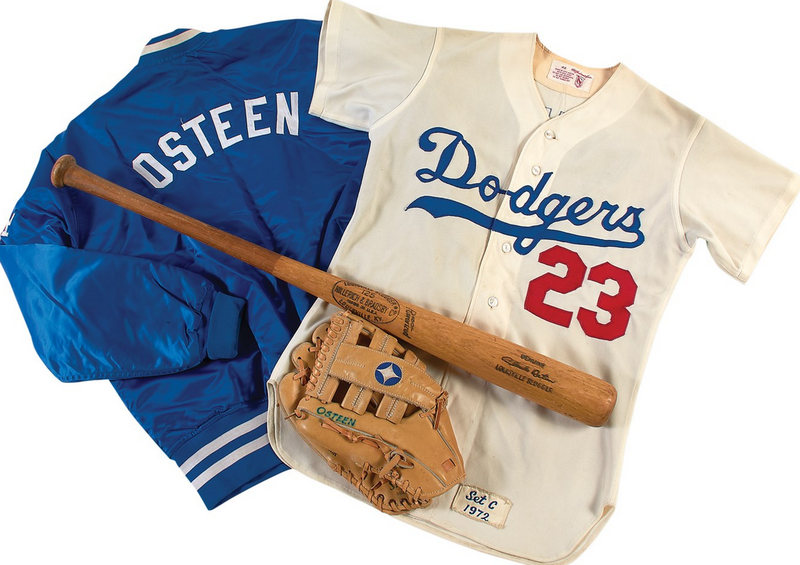 (Auction Link) Below is a 1972 home jersey, a Dodgers satin jacket, Osteen's glove and a bat.